Apollo Ice is the premier 'DSD' or 'Direct to the Store Delivery' ice vendor for the DC area. We have achieved this by focusing on the customers needs and exceeding their expectations. 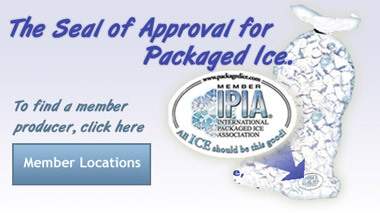 Apollo Ice is committed to providing our customers the highest quality packaged ice anywhere. Our facilities have consistently met the stringent requirements set forth by the local, county and state governments. In addition we have met standards set for presidential functions and military facilities.